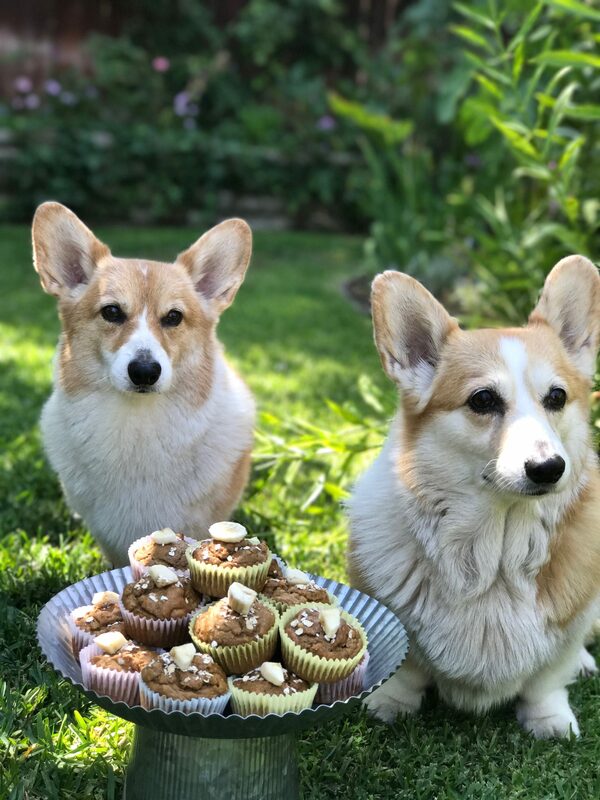 Recently, Frankie and Remi’s Aunt Susan (who is a total cat person) came across a recipe for these Peanut Butter & Banana Pupcakes while reading a cat caper by Julie Chase, Cat Got Your Diamonds: A Kitty Couture Mystery. 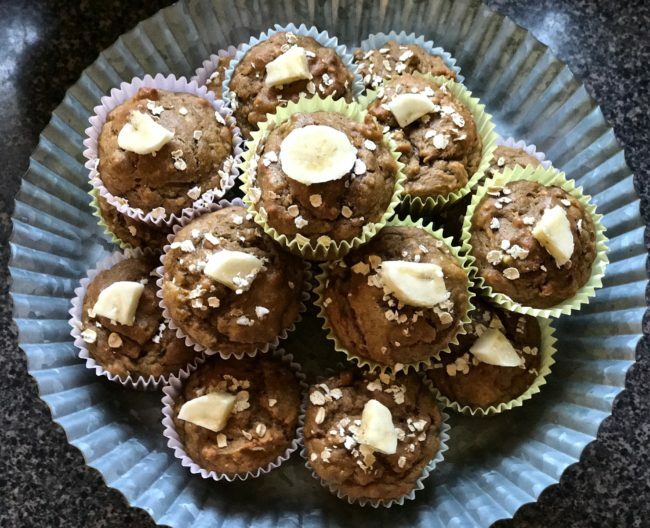 Being the good aunt that she is, she shared it with me, and I made them in honor of National Dog Day on August 26 (of course, every day is National Dog Day at our house). Fun Factoid: The Beatles included a whistle in their song “A Day in the Life” that’s only audible to dogs! 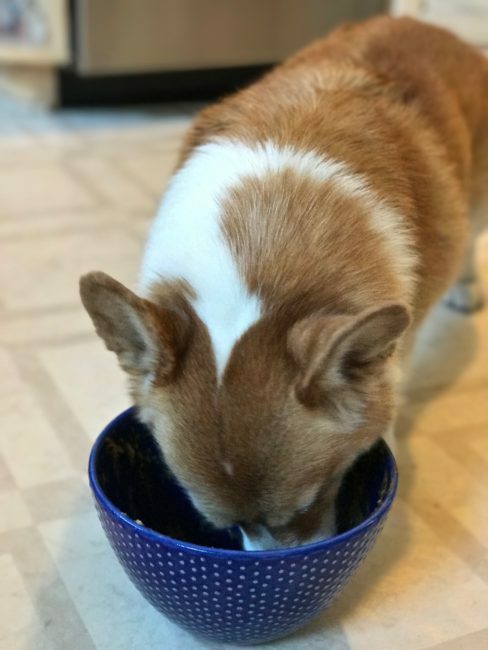 …but also to taste test the final product. This recipe made 16 Pupcakes which is way too many for two corgis to eat (their stomachs would be dragging the ground! ), so we shared with our dog friends, and I put some in the freezer for judicious snacking over the summer. 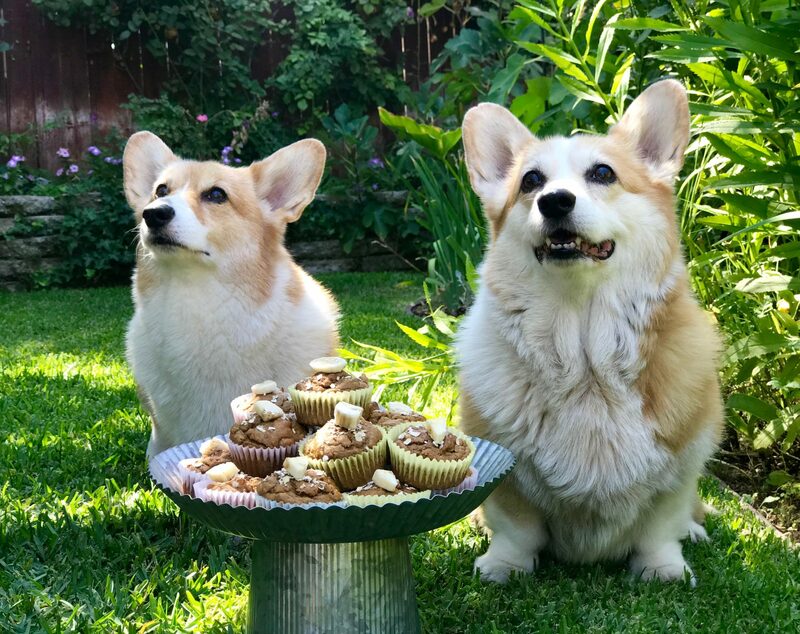 Our esteemed tasting panel of Moose & Squirrel, Roo, Moo, Beau, and Lady, gave the Pupcakes rousing a-paws and six woofs! 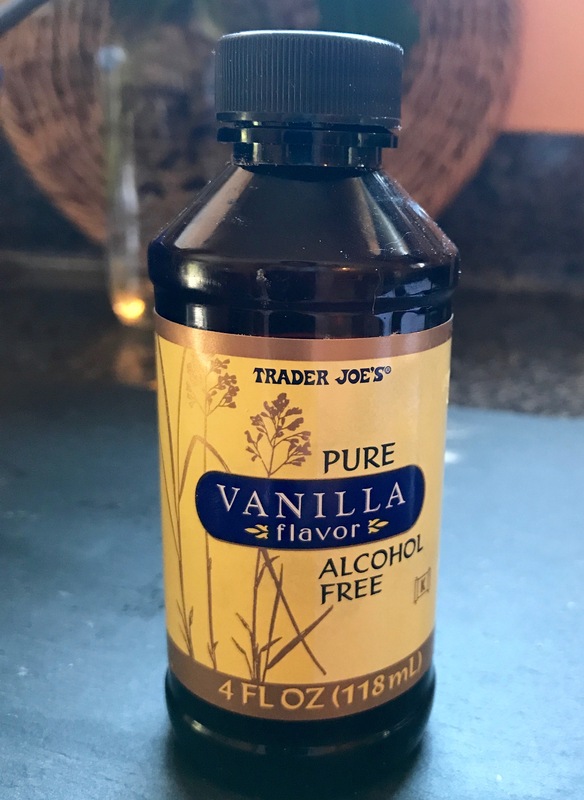 Quick & Important note on the Vanilla: Be sure to use alcohol-free vanilla or leave it out entirely because alcohol is toxic to dogs. I know it’s a very small amount, but why take the chance? This is one dog treat you can even nibble at yourself. Tom and I tried one, and I knew Tom liked it when he started wagging his tail. Treats like these, and a thousand kisses a day, make for very happy dogs … Happy National Dog Day! Preheat oven to 350°F. Line a muffin/cupcake tin with paper cups. In a large bowl, mash the bananas with a fork. Add eggs, vanilla, applesauce, and peanut butter and stir to combine. In a separate smaller bowl, combine the remaining dry ingredients. Dump the dry mixture into the banana mixture and stir until well combined. Spoon batter into the paper cups about two-thirds full. 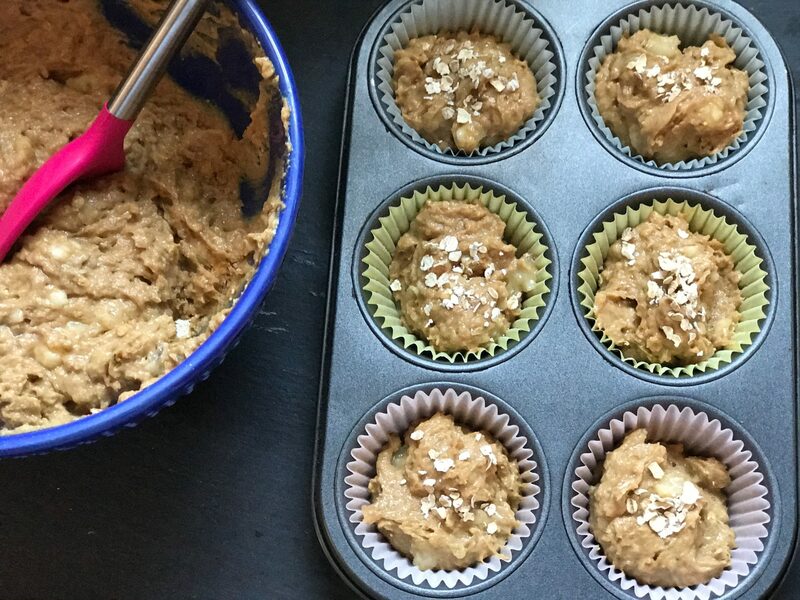 Sprinkle each with a pinch of the oats. Bake for 18 minutes or until a knife inserted in center comes out clean. 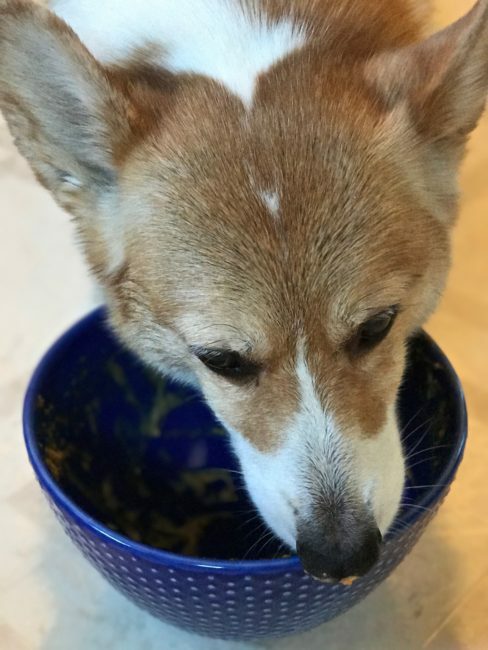 Allow to cool completely before feeding to your dogs or icing. 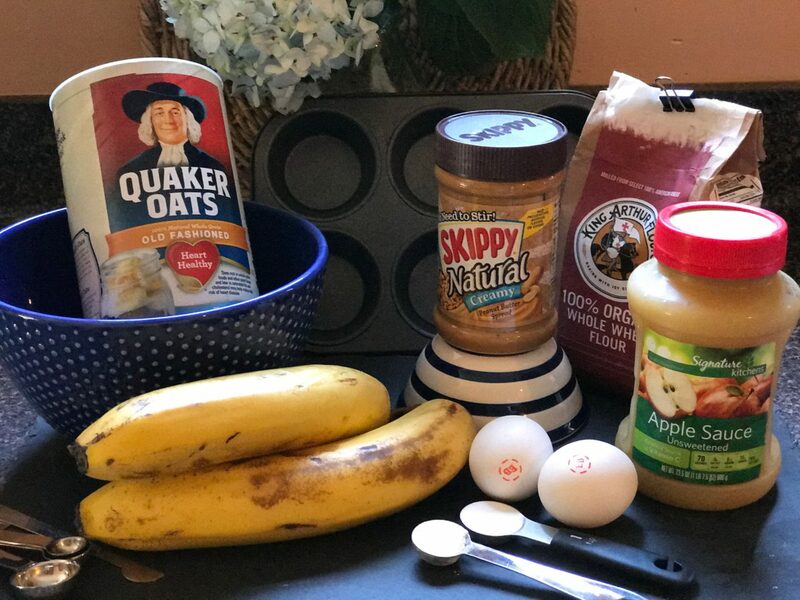 The original recipe included instructions for this Creamy Peanut Butter Icing, but I just sprinkled a pinch of oats over the top before baking, and garnished with banana slices figuring our dogs are low enough as it is!